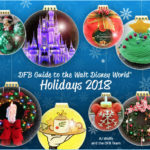 Typically, we’re curious to know if your Holiday plans include a trip to Walt Disney World or Disneyland. But today I’m asking if your Holiday plans include a trip to NEW YORK CITY?!? Why?? 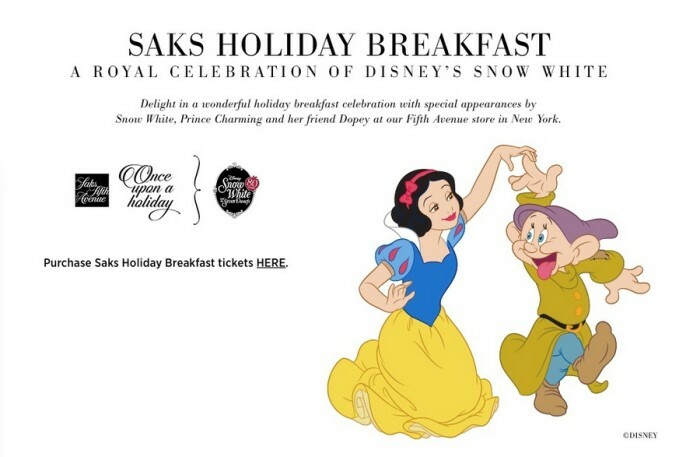 Because Saks Fifth Avenue will be hosting the Saks Holiday Breakfast CHARACTER MEAL: A Royal Celebration of Disney’s Snow White in honor of the 80th Anniversary of the film Snow White and the Seven Dwarfs. 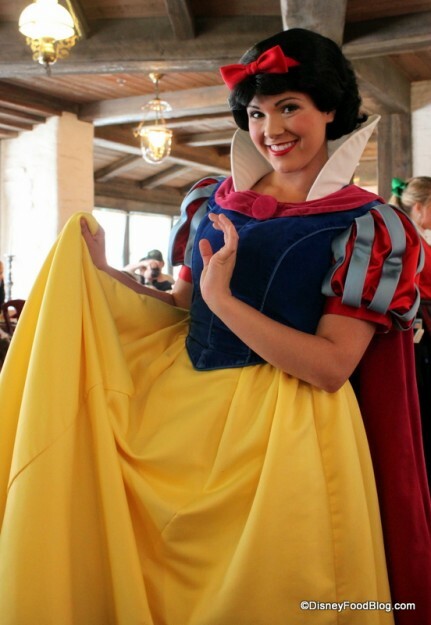 Snow White, the Prince, and Dopey will all be there to help guests celebrate the occasion… AND the season! The Saks Holiday Breakfast will run on select dates from November 25 – Dec 31, 2017, beginning at 8:30 am. 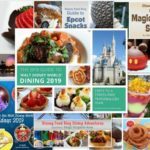 The family style meal will include Vanilla Infused Greek Yogurt and Seasonal Fruit, Mini Pretzel Croissant Ham and Cheese, Mini Pancakes with Lightly Sweetened Whipped Cream and Strawberries, Mini Cheddar Frittatas and Mini Cupcakes. Head’s up: you’ll be paying Saks Fifth Avenue prices for the experience 😉 . Tickets range from $200 (for a Table for 2) to $800 (for a Table for 8). Refunds are available for up to 30 days before your selected breakfast. Interested guests may learn more here and purchase tickets here. Even if you don’t attend the breakfast, be sure to stop by the flagship store to check out fashion, accessories, and gifts that will be for sale to continue the celebration. And don’t forget that the annual holiday window — Snow White themed, of course — will be unveiled in November, so be sure to stop by and see it! 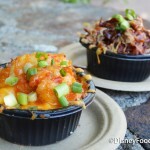 Get ready to say “Heigh Ho Ho Ho!” (see what I did there?) in New York City this holiday season! Will you be able to stop by Saks Fifth Avenue this holiday season? Please let us know with a comment! How about a party of one? Can I get half-price for the 2-party table? why not charge less so not only the rich can afford it?????? ?